Political power and religion become difficult to separate when examining the emerging nation states and control of Sapmi, the land of the Sami. Sweden- Finland, Denmark- Norway, and Novgorod (Russia) all desired power over the terra incognita of Sapmi. The right of taxation over the Sami and control over the coast made Sapmi a profitable piece of property for the emerging nation states. The competition exhibited the “philosophy of territoriality present in modern geographical thought, that land equals power” (arcticircle.union.edu). 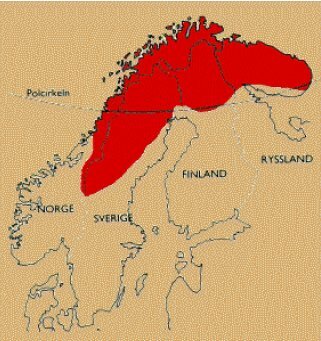 The nation states viewed Samiland as ownerless land”, demonstrating the lack of understanding of the connection that the Sami felt toward their land and also the lack of recognition of the concept of territory which was not defined by fixed ownership in the Sami community (arcticcircle.uconn.edu). Christianity and taxation were the tools utilized by the emerging nation states; assimilation and power over the Sapmi was the goal. The first signs of Christianity appeared as early as the thirteenth century when a church was established in Tromsø. The location was the northernmost Christian community and missionaries traveled there in order to work among the Sami (Niemi 64). A papal letter discussing the missionary described the location as being situated juxta pagones or near the pagans (Niemi 64). Even as early as 1277, the King of Sweden granted the rights for traders, or birkarls, to tax the Sami whom they did business with and to fish in the waters of Sapmi (arcticircle.union.edu). In return the king received payment through skins and furs (Singleton 26). The birkarls also practiced landsköp (rural trading) even though many kings had tried to get rid of it (Singleton 27). Some laws imposed by kings included the death penalty for those who broke the law, especially when trading imported goods with people in rural communities (Singleton 27). The claims over Sapmi by the Danes and the Norwegian nobles conflicted with the Swedes and Novgoradians, initiating the constant friction experienced for the next centuries. In the early fourteenth century religious and state expansion continued into Samiland by Norwegian fishermen and peasant settlers (Niemi 64). By 1307 the church of Vardø was built in the peripheral border of Norway and Russia, followed by the royal fortress of Vardøhus (Niemi 64). Soon, Norwegian fishing towns and villages were built demonstrating the political ambitions and goals of Denmark -Norway. The Peace Treaty of 1323 between Sweden and Novogrod left Novogrod, which was under the Orthodox Church of Russia, eastern Finland (Karelia), and Sweden, western & southern Finland (www.finland.org). At the time Denmark-Norway had declared sovereignty over the coast of Sapmi decreeing the Arctic Ocean mare nostrum or “our sea” (Niemi 65). In 1326 a treaty defined the inland of Finnmark as a joint territory. This enabled the three emerging nation states all to have the power of taxation, which can be seen in the region of Inari where all three kingdoms taxed the Sami (arcticircle.uconn.edu). During the fourteenth century the Roman Catholic Church was wealthy and held a great deal of property and power that included education and political power (Stoddard 11). The monarchy of Sweden desired more power and the 1527 Västerås Edict of King Gustav Wasa transferred church property to the crown and placed the king as the head of the church (Stoddard 11). The Catholic Church lost its influence and wealth and soon the Protestant Reformation occurred in 1540 (Stoddard 11). The Church Ordinance of 1571 by King John III led to the official acceptance of Lutheranism in 1593 throughout Sweden-Finland (Stoddard 11). There were bodhisattvas and mahasattvas, eighty thousand of them, none of them ever regressing in their search for anuttara-samyaksambodhi. All had gained dharanis, delighted in preaching, were eloquent, and turned the wheel of the Law that knows no regression. They had made offerings to immeasurable hundreds and thousands of Buddhas, in the presence of various Buddhas had planted numerous roots of virtue, had been constantly praised by the Buddhas, had trained themselves in compassion, were good at entering the Buddha wisdom, and had fully penetrated the great wisdom and reached the farther shore. Their fame had spread throughout immeasurable worlds and they were able to save countless hundreds of thousands of living beings. Lutheranism is distinguished from other forms of Christianity in three main ways. First and most fundamental, is the concept of justification through faith alone directly from the word of God (Stoddard 72). Therefore the translation of the New Testament into Sami was crucial. Second, the formal liturgy of the Catholic Church was de-emphasized and worship became more personal (Stoddard 72). Only two of the traditional seven sacraments were preserved: baptism and Holy Communion, and are only viewed as a symbol of the faith (Stoddard 72). Third, Luther proposed the doctrine of two realms: the spiritual realm and the secular realm (Stoddard 72). The spiritual realm included the ability of Christians to communicate directly with God without the need of a priest, while the secular realm included civil authority distinct from spiritual authority of the church (Stoddard 73). During the early sixteenth century, Trifon, a Russian monk founded an Orthodox monastery on the Arctic coast at Petsamo (Singleton 38). In 1556, Ivan VI gave the monastery a piece of territory which included a large part of the Kola Peninsula and land west of the Pasvik river that flows out of Lake Inari, previously claimed by Norway (Singleton 38). The Danish King Frederick II who ruled Norway at the time took up arms for Norway and sent two expeditions into Sapmi (Singleton 39) to lay claim to the territory. Sweden fought against these claims by making an agreement with Russia that the Swedish – Russian frontier should run through Lake Inari to the Arctic Ocean at Varanger Fjord (Singleton 39). At the beginning of the reign of King Gustav Wasa of Sweden, in 1542, claims began to be made over the terra incognita to the north. In a letter, Gustav Wasa states that he wants no fur traders to settle in the wild of the “no man’s land”, writing, “since God praised forests and wilds surely suffice in that part of the country” (Ruong 15). In a later letter, he responded to coastal Sami who had tried claim rights to large areas of land and declares, “All unused lands belong to God, to us and the Swedish Crown and to none other” (Ruong 15). Of coarse the terra nullius that the Sami had inhabited and lived in harmony with for centuries was “unused” and was now very desirable for power hungry rulers. The Sami under Swedish rule in 1551 were comparable to peasants in terms of rights and duties (virtual.finland.fi). The Sami were permanent owners of their land , but for this privilege they were forced to pay “Lapp Taxes” (virtual.finland.fi). The Treaty of Teusina from 1595 defined the border between Novogrod and Sweden–Finland. As a consequence, the Sami from the Kola Peninsula were severed from Scandinavia and Russia played a minor role in the state of the Sami until it took control of Finland in 1808. Finally, in 1602, the Sami were given somewhat of a voice when they were granted representation in the Swedish Diet. However, at the same time as they were granted a small amount of power, the Sami fell under the rule of the Swedish Lutheran Church and Judicial system (virtual.finland.fi). The Swedish tax law of 1605 helped to establish traditional Sami activity such as reindeer herding as a legal form of land use was delegated to the South (arcticcircle.uconn.edu). The increase in taxes caused the Sami to build up their herds rapidly and in effect become reindeer herders. Although this tax law appeared to the benefit of the Sami, really it developed fixed definitions of territory (tax lands) which did not accord with the Sami’s siida territory and organization (arcticcircle.uconn.edu). The Swedish tax law also altered the general collective guidelines of reindeer herding by stating that use of tax land was “delegated to an individual in return for rent or tax paid to the crown” (arcticcircle.uconn.edu). From 1611 to 1613, the Kalmar War between Denmark and Sweden exploded and one of the main sparks was the rivalry over control of Sapmi. 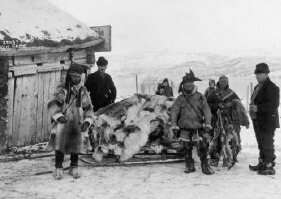 The fur trade that had become popular in Sapmi attracted Swedes and Finns, Danes and Norwegians, and also Russians. Each wanted to control the land, which already belonged to the Sami. Gustav Wasa’s son, Charles IX, was now king of Sweden and wanted to extend his power over Sapmi to the Arctic Ocean and the White Sea, declaring himself “king of the Lapps and the northern lands”. (Ruong 15). Of course, the Danish and Russians were less than pleased with this statement and the Kalmar War began. Sweden found itself in a weak position with the Danes in control of the coast and the shipping routes. Charles IX found it easiest to track through the harsh wilderness with the help of reindeer (Ruong17). This initiated the desire for the King to start Sweden’s own reindeer herding, and the experts were of course, the Sami. He therefore wanted total control of the Sami and Sapmi, and proceeded to take control by establishing Christian churches. Charles IX chose Daniel Hjort to pick the sites for the religious communities, resulting in the formation of churches in the towns of Jokkmokk, Jukkasjärvi, and Enontekiö (Ruong 17). At the conclusion of the war Sweden lost and withdrew its claims to the northern coast, and the Sami from the area of Tysfjord and Varanger fjord fell under Danish-Norwegian rule (Niemi 66). The following poem from The Sun, My Father by Nils-Aslak Valkeapää illustrates the Sami feeling. Later, Charles IX’s son, Gustavus Adolphus began to increase the assimilation process and extend Swedish power over Sapmi by starting schools (Ruong 17). The first of these was Skytteanska lappskolan at Lycksele (Ruong 17). The ultimate goal of these boarding schools was assimilation. Children were taught about Christianity and the Bible at a boarding school and were forbidden to use their only language, Sami. Sami children were left feeling out of place and stupid. Frank A. Jenssen describes the confusion of a boarding school situation in his novel The Salt Bin. Petter doesn’t understand. He stops and stares at the teacher with his mouth half open. So that was what the teacher had said, that he should take his cap off. Embarrassed, he looks up at the teacher’s serious face. The other children are stock-still. The year of 1635 marked the discovery of ore in Sapmi and the Swedish, under the reign of Queen Christina, opened a mine in Nasafjäl (www.itv.se). The Sami were forced to work as slave labor and anybody who protested, faced severe punishment. Numerous Sami attempted to flee the slave mine, and the provinces of the Lule and Pite Sami began to depopulate. As a result, the Swedish sent in troops to prevent the Sami slaves from escaping (www.itv.se). Meanwhile the Swedish also attempted to impose Christianity among the Sami through the use of zealous priests. Many Sami were reluctant to abandon their original Sami faith for Christianity. On one occasion a priest from Silbojokk had confiscated numerous shaman drums from the traditional Sami religion (Ruong 18). He was on his way with a pack of reindeer to destroy the devil’s symbols when a Sami noaidi, Anders Nilsson, attacked him (Ruong 18). Nilsson reclaimed his drum with force and was punished by the Swedes by being burnt alive (Ruong 18). Upon his death, Anders Nilsson was encouraged to repent against his heathen religion, but refused and died, a martyr (Ruong 18). The Sami sentiment about the forced religion is expressed in the following poem from The Sun, My Father by Nils- Aslak Valkeapää. In 1671, Johan Graan, a Sami, held the seat as county governor and he guaranteed the Sami that they would not be forced off their land (www.sametinget.se). However, two years later he encouraged the colonization of Sapmi, while presenting the concept of the Parallel Theory. The theory stated that new settlers and the Sami could live together in harmony since they utilized the land in different ways, but it overlooked the competition for fishing waters (www.sametinget.se). Johan Graan’s Parallel Theory was the foundation for the Lapland Bill of 1673. The bill was the start of the official colonization of Swedish Sapmi and the number of permanent settlers experienced an increase. The Sami lost property rights, since the settlers were allowed to establish taxes in Sapmi without any permission from the Sami (www.sametinget.se). The Sami only had the right to hunting, fishing, and reindeer breeding on their own land (www.sametinget.se). Settlers even received special benefits such as no taxes for fifteen years and exemption from military service as an incentive to spark growth in the colonization (www.sametinget.se). A revised version of the Lapland Bill of 1673 was introduced in 1695, which limited the extent of burn-beating in Sapmi and encouraged increased farming activity of settlers (www.sametinget.se). Burnbeating was the practice of cutting down and burning a forest area, and then using it until the fertility declined and abandoning it (Singleton 25). The seventeenth-century autocracy of Sweden-Finland, lead by Charles XI, was different from the twentieth century totalitarian system because of the close ties of religion and state (Jutikkala & Pirinen). The King was “responsible to God” for his land, since it was given to him by God (Jutikkala & Pirinen). However, along with this responsibility, as in other Lutheran countries came the responsibility of church obedience to the King (Jutikkala & Pirinen). Issued by Charles IX, the Ecclesiastical Act of 1686 established the Lutheran church of the state of Sweden-Finland in two ways (Jutikkala & Pirinen). First, every citizen of the state must not acknowledge another religion. Second, the king was the “supreme bishop” who was in charge of appointing a majority of the clergy and who headed the administration of the church (Jutikkala & Pirinen). The Church, dominated by Orthodox views, felt one of its essential duties was the teaching of a Godly life to the uneducated masses, including the Sami, who must also demonstrate obedience to the crown. The Ecclesiastical Act of 1686 required clergymen to tour parishes and test the Christianity of the church, forbade couples from exchanging vows if both were not confirmed, and set up a passing score on the catechism test as a prerequisite for confirmation (Jutikkala & Pirinen). So that the uneducated masses could “see with their own eyes what God commands and demands in His sacred word,” the Church and State began to set out on a mission to make the entire nation literate (Jutikkala & Pirinen). In 1714 the College of Missions was founded in Copenhagen and Pietist Thomas von Westen was selected to lead a university mission into Sapmi (http://www.reisenett.no). 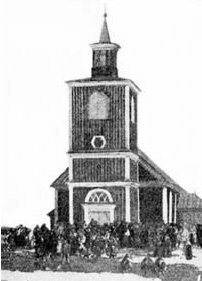 From 1716 to 1727 von Westen continued to preach in the Sami area of Norway. The Great Nordic War that occurred between 1701 and 1720 made it obvious that borders needed to be set. Finally, the Frontier Treaty of 1751 was agreed upon in Strömstad, Sweden, which included a supplement, the Lapp Codicil of 1751 (www.sametinget.se). The Codicil faced two problems: reindeer herders could only be citizens of one country and rules had to be set for travel across borders (www.saetinget.se). The Lapp Codicil, an important document, ratified Sami rights and is often referred to as the Sami Magna Carta. Sami territories had been divided when the borders were drawn, however Sami were not allowed to own land on both sides of a frontier, known as the Mutual Border Agreement (www.sametinget.se). Instead, they had to be citizens of the land where they possessed winter tax-land. The Sami were allowed to herd their reindeer across borders and they had to remain neutral at wartime (www.sametinget.se). The Lapp Codicil of 1751 established rights for the Sami people, and showed a commitment to the Sami way of life that is not found in later historical policies (arctic.uconn.edu). Finally in 1760 the Sami were discharged from the Swedish Diet, leaving them with less of a voice. The late 1700’s and early 1800’s included the conquest of Russia over Sweden- Finland, the spread of Christianity throughout Sapmi, and growing discrimination toward the Sami. In 1755 the New Testament was translated into the Ume-Sami language and in 1780 a bible society published the Lexicon Lapponicum which In 1813 a law was passed in Sweden stating that all Sami should remain ten kilometers away from settlements (www.sametinget.se). Farmers’ interests took precedence over Sami interests and settlers were even allowed to shoot any reindeer which came too close to their property and keep them for their personal use (www.sametinget.se). The Sami began to lose their rights along with their land. Læstadianism, founded by Lars Levi Læstadius, played a crucial role in the movement of Christianity across Sapmi by the emerging nation states. Læstadius was born on January 10, 1800 in Arjeplog, Sweden to Karl Læstadius, a silver miner, and Sorsele, a Swedish Sami (http://www.laestadius.net). He faced a rough childhood with an alcoholic father, and in 1808 when his father lost his job, the family moved in with Lars Levi’s half-brother, Carl Erik (www.i5ive.com). Erik was a pastor in Kvikkjokk and also an amateur botanist, which motivated Lars’s interest in plants (www.i5ive.com). In 1820, Lars Levi entered Uppsala University, where he proved a brilliant student by discovering two of Norway’s most precious plants: the saxifraga paniculata and the papaver læstadianum (www.i5ive.com). Along with botany, Læstadius studied theology and entered the seminary in 1821 (www.laestadius.net). In 1825, Læstadius was ordained as a Lutheran cleric and had his first parish in Arjeplog (www.i5ive.com). He moved to Karesuando, the most northerly parish in Sweden, in 1826 to become their pastor until 1849 (www.i5ive.com). Karesuando was built in 1816 and can be seen in the picture to the right (www.kiruna.se). During his time in Karesuando, Læstadius learned the North Sami dialect along with Finnish. Despite the fact that his mother language was Luleå Sami, Lars Levi wrote articles and books in Swedish (www.i5ive.com). He married Brita Alstadius in 1827 and the two had fifteen children, twelve of whom lived into adulthood. Læstadius also continued to work in the field of botany and became a member of the Uppsala scientific society in 1839 (www.laestaius.net). In the winter of 1844, I came to Åsele, Lapland…Here I met… a Lapp girl by the name of Mary, who opened her whole heart to me after hearing the message from the altar… She had wandered long distances, seeking light in the darkness. In her travels she had finally come to Pastor Brandell in Nora, and when she had opened her heart to him, he freed her from doubt. Through him she came to a living faith…I shall remember poor Maria as long as I live, and I hope to meet her in a brighter world on the other side of the grave. Læstadius and Milla Clementsdotter experienced a “Great Awakening” together which dramatically changed their lives (www.i5ive.com). Following this born-again experience, Læstadius’s sermons ignited with new force and power that started a religious revival in Sapmi (www.i5ive.com). His powerful teachings soon spread from his parish in Karesuando and awakenings initiated in 1846 and spread like wild fire to other regions (http://www.srk-oulu.net). Three-fourths of his parishioners were Sami, and annual migration to the coast and trips to the market facilitated the spread of the movement to Sweden, Finland and Norway (www.srk-oulu.net). Raattammaa battled the “liquor dragon” and began the stamping out of liquor among the Sami (www.users.erols.com). The war included opposition from some Sami who used Bible passages from Solomon and Sirach to defend the need and benefit of alcohol, but Raattammaa overcame them with other Bible passages (www.users.erols.com). Consequently one liquor merchant after another stopped the sales of liquor and eventually liquor was looked down upon by many of the Sami. However, this proved a positive result of Læstadianism, since alcoholism had begun to plague the Sami after its introduction by outsiders (www.users.erols.com). In 1849, Raattammaa established a mission school in the village of Kengis in Pajala Parish where he continued his preaching of Læstadius and fought the “liquor dragon” (www.users.erols.com). The effects of control of the Sami continued as assimilation succeeded and the emerging nation states benefited. The year 1852 marked the Kautokeino uprising which can be viewed as a revolt against the social system which had for so long oppressed the Sami. The target of the uprising was the people who were representative of the social system: priests, sheriffs and businessmen. The county sheriff, Bucht, had been previously fired due to criminal activity, the businessman Ruth unlawfully sold liquor, and the priest Stockfleth stood as the opponent to Læstadianism (www.sametinget.se). Aslak Hætta, who was inspired by visions and dreams to attack the leaders of the town of Kautokeino, led the “holy warriors” to their battlegrounds and to the “wage war against the unrepentant” on November 8 (http://www.itv.se). They set out with Læstadianism pumping in their blood to attack a trading post where liquor was being sold. Lars Johan Bucht left the inside of the trading post and was killed by Aslak Hætta. Next several angry men and women attacked and killed the owner, Ruth, and the trading post was set on fire (www.itv.se). The priest tried to subdue the mob, but was severely beaten unconscious (www.itv.se). Five of the Sami leaders were caught and sentenced to death and ten other revivalists were sentenced to life. Two of the Sami male leaders were beheaded and a third inmate was beaten to death during his transport to his execution (www.sametinget.se). Four other Sami eventually died in prison down south. The Land Sales Act of 1902 was passed on May 27 in Norway and a corresponding Land Sales Regulation on July 7th (http://www.uit.no). The State wanted to control how land sales developed using the sales procedure as the means for control (www.uit.no). The application for the purchase of land had to go through a scrutinizing and detailed procedure including the approval of the district lensman, the Commissioner, and the County Governor (www.uit.no). The approval included the verification of citizenship, nationality, place of birth, and knowledge of the Norwegian language (www.uit.no). To make the Norwegian element stronger an additional language clause was provided in the Land Sales Regulation from Regnor Jernsletten’s article in 1986 (http://www.uit.no/ssweb/dok/J/R/86actabo.htm). Sales may take place to Norwegian citizens only, and with a particular view to furthering the settlement of a population that is suitable for the district, for its cultivation and for its utilization in other ways, that can speak, read and write the Norwegian language and that use it for every day tongue. The goal of the Land Sales Sales Act of 1902 was clear: to assimilate the Sami. Authorities wanted the Sami to abandon their old way of life, which involved migration and extensive use of their resources and to adopt the Norwegian way of modern farming. Norway also wanted to secure their Norwegian sovereignty in Finnmark (www.uit.no). This policy of Norwegianization initially started in the schools by eliminating the use of Finnish and Sami between 1860 and 1900. This was done by regulating language use and also by discriminating against Sami teachers and preferring Norwegian ones (www.uit.no). The early 1900’s posed even harder times for the Sami culture. The passage of the Land Sales Act of 1902 in Norway, oppressed the voice of the Sami and they lost any opportunity to express their reactions. At the Parliament elections in1906, the Sami candidate, Isak Saba, finally openly attacked the Land Sales Act and demanded equal rights for Sami and Norwegians to purchase land. The ability to cultivate land had no correlation to the ability to speak Norwegian. A supporter of Saba, Anders Larsen, was the editor of a local Sami newspaper, Sagai Muittalægje. Regnor Jernslettenn translated his article in 1986 (www.uit.no/ssweb/dok/J/R/86actabo.htm). Who is more entitled to the land here in Samiland, the Norwegian who arrived as a tramp and evil-doer, or the Sami, the aboriginal? In our opinion that question is very easy to answer. In 1905, The Karlstad Convention dissolved the union between Norway and Sweden. This forced the nomadic mountain Sami to decide which country they wanted to belong to (www.its.se). The idea of choosing a specific location or country as a single home was foreign especially to the mountain Sami, who were reindeer herders and traveled most of the year. Borders also went against the very nature of Sami culture which did not emphasize ownership, power and land. Also, in 1913 the “Native Act Land” was passed by Norwegian Parliament allocating the most useful land to the white settlers, or non-Sami people(www.itv.se). From 1913- 1920 Sweden forbade the use of any Sami language in the “Nomadic Schools”. Once again, this stood as a blow to the Sami identity of culture and self (www.itv.se). By 1924 Sami land taxes were repealed and their names removed from the land registers. Throughout the period when emerging nation states were battling over land, taxes and power over the Sami, Christianity was an instrumental tool. “Christianity [was] used to change Sami culture, to make it serve the interests of the governments. It has been misused, as a tool for government control, with a view to increasing the land possessions of governments and even they have sought to increase their “right” to own the entire nation” (Helander & Kailo 125). The following poem from The Son, My Father by Nils- Aslak Valkeapää tells about the experience of the Sami, being pushed around carelessly while the emerging nation states decided who owned whom and where. In conclusion the Sami began as a borderless culture across the vast area of Sapmi. Slowly the area of Sapmi was stolen then chopped up and fought over by the powerful nation states. Along with the decision of who owned which land and the manipulation of borders, came the discrimination and disregard for the Sami culture. Control over the area of Sapmi and the Sami was the ultimate goal for each emerging state, and Christianity, missions and schools were the tools. In the end it might appear that the nation states were totally successful in their goal of converting and gaining power over the Sami, since most of today’s Sami population is Christian. However, most Sami have still retained their cultural identity, some even practicing their traditional religion. Today, the Sami can be viewed as an example for all minority groups who face discrimination and assimilation by employing peaceful resistance in order to gain national status. Jenssen, Frank A. The Salt Bin. Norway: Sentraltrykkeriet, 1998. Ruong, Israel. The Lapps in Sweden. Stockholm, Sweden: Victor Pettersons Bokindustri AB Stockholm, 1967. Valkeapää, Nils-Aslak. The Sun, My Father. Kautokeino, DAT, 1997.